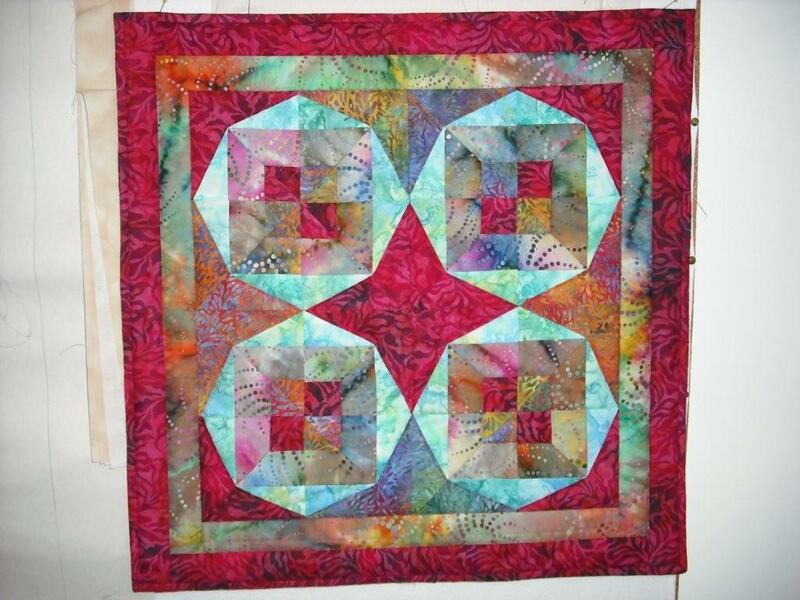 Batik fabric, with its veins and merging colours, makes beautiful butterfly wings. 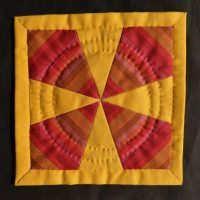 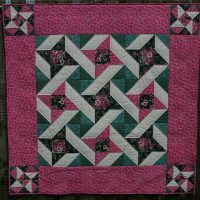 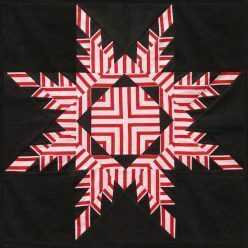 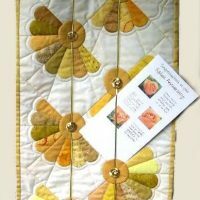 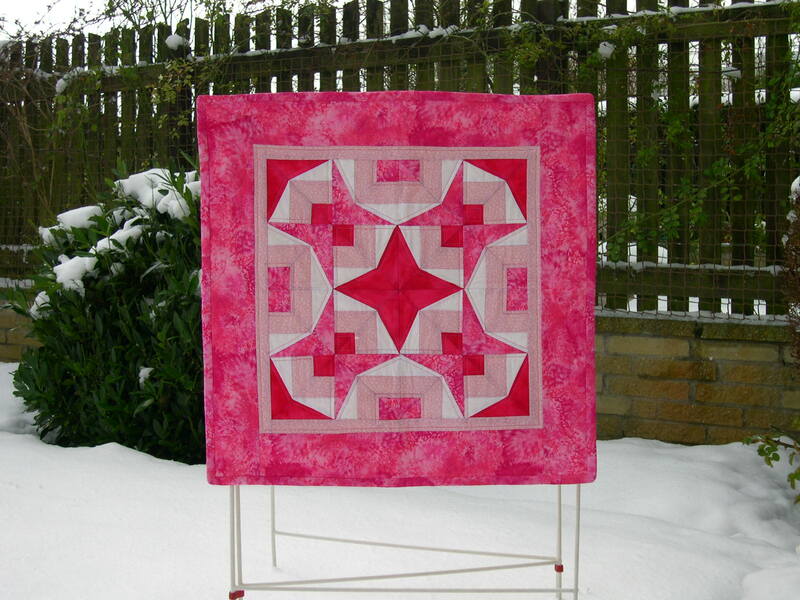 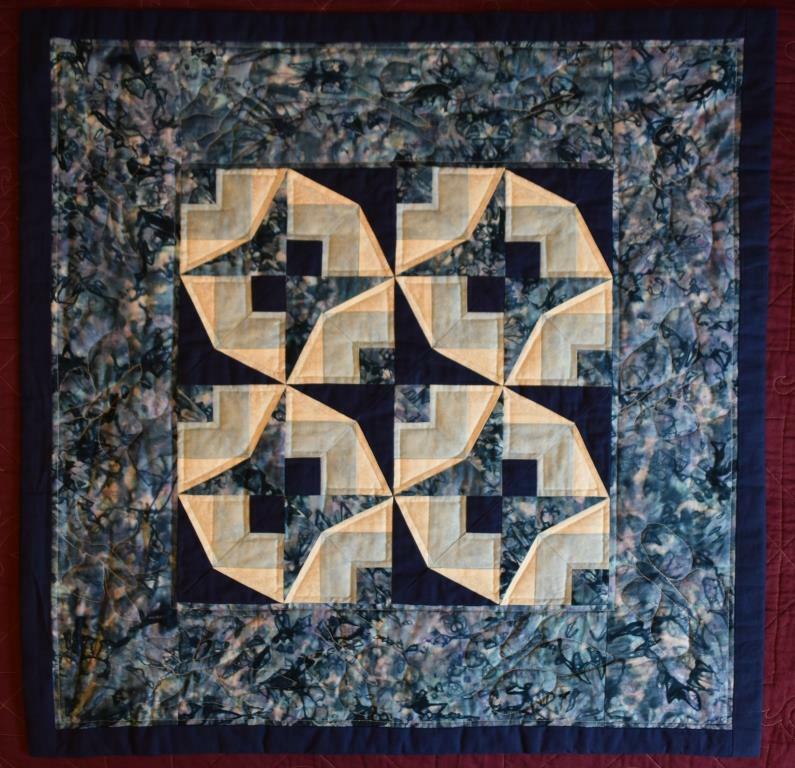 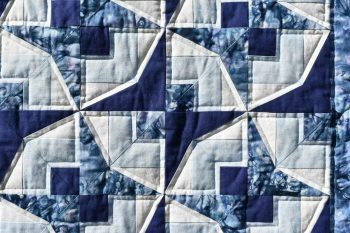 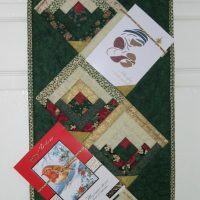 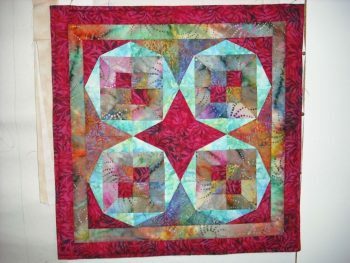 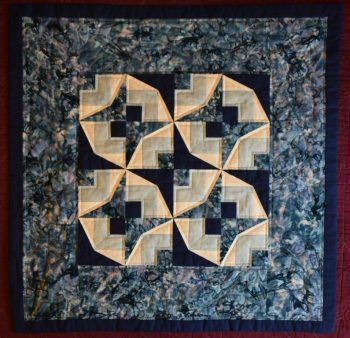 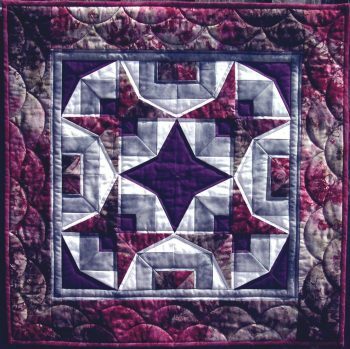 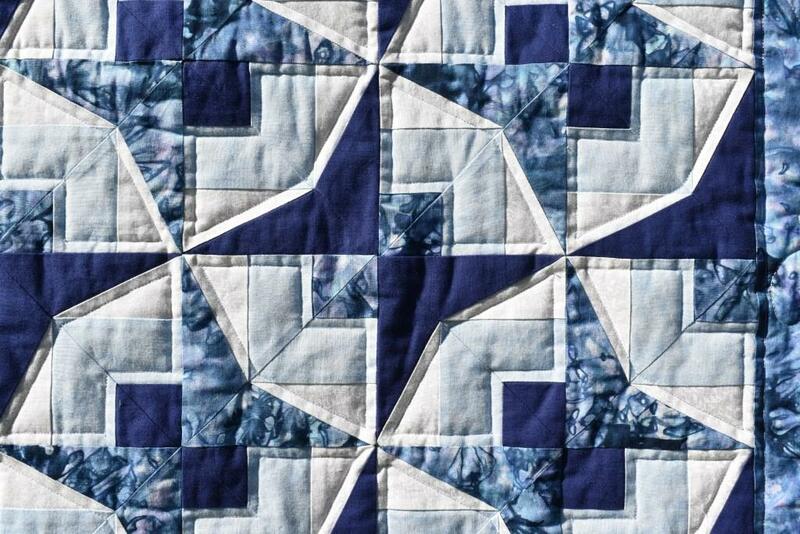 This small wallhanging uses foundation piecing to create a lovely design, which has several options for the final layout. 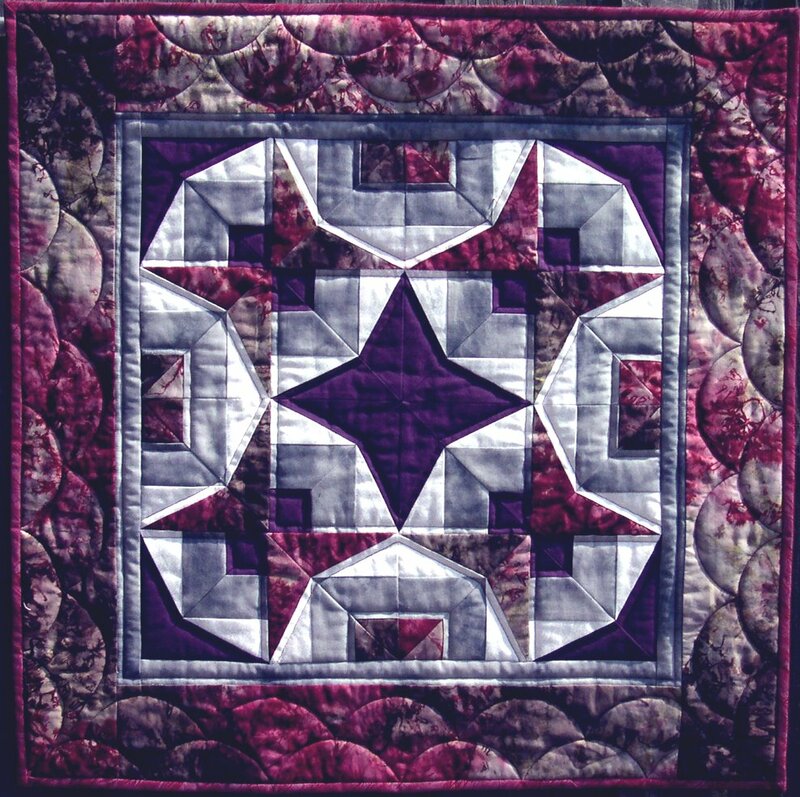 Carolyn includes full instructions for the foundation piecing technique, including some special tips to obtain perfect points when assembling the sections together.